We have taken the advice of many talented photographers and compiled them into a list for ourselves and you. Although, in the Tampa Bay area, this moment in nature will only be a few short minutes, it is definitely worth it. And, since it may be another 90 years before another eclipse passes completely across our country, why not turn this into a great photo event. The following is a list of steps we borrowed from Popular Science. Don’t put your eyes at risk. Wear proper safety glasses for viewing. Plan a good place to make photographs. Including human or other recognizable objects help make the photographs more interesting. 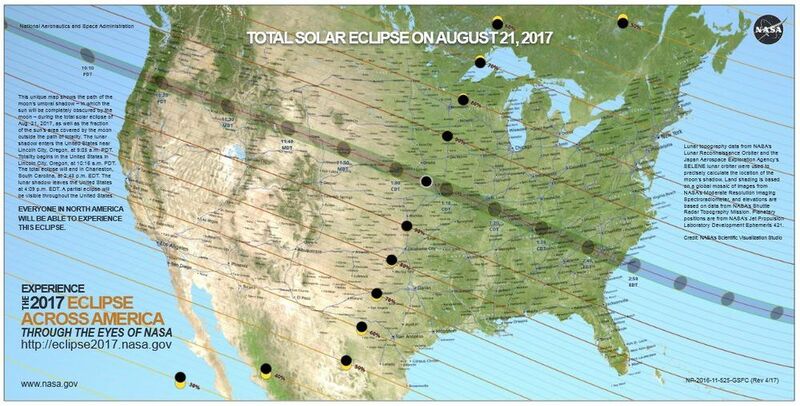 Research the time of day when the eclipse will be most optimal where you are located. A map, like the following may help you decide where to position yourself. Don’t: Rent expensive gear or buy expensive filters for a single eclipse. For most people, buying one is total overkill. The good ones are expensive and don’t really have much utility outside of an eclipse. So, borrow one. If you have it already, enjoy. Don’t look through the viewfinder when using a solar filter. The filter may stop excess UV rays, but do nothing to protect your eyes from serious damage. Don’t: Look through a telephoto lens with your eclipse glasses on. Two glasses doing the same thing may magnify the intensity on your eyes. This include photo lenses. Shoot your photos in the raw mode. Solar eclipse photos are tricky and need compensating for the bright sun and darker areas. Do a lot of photos. Since this is a once in a lifetime moment, you want to have plenty to choose from. However, it doesn’t mean just clicking away in hopes of getting one good one. Monitor your exposure to make sure it’s correct. That way you will have multiple images to choose. Know what to look for during the eclipse. Although they are stated here, Business Insider has great photos to show what they look like. First contact is when the moon starts to pass across the sun. A Crescent Sun forms as the moon covers the sun. As the moon completely covers the sun, a bright light radiates out of the sliver of distance between the sun and the moon, known as the “diamond ring”. An effect called “Baily’s beads,” appears where the sunlight passes through the valleys on the surface of the moon. When the moon totally blocks the sun, it is safe to look at it with the naked eye. 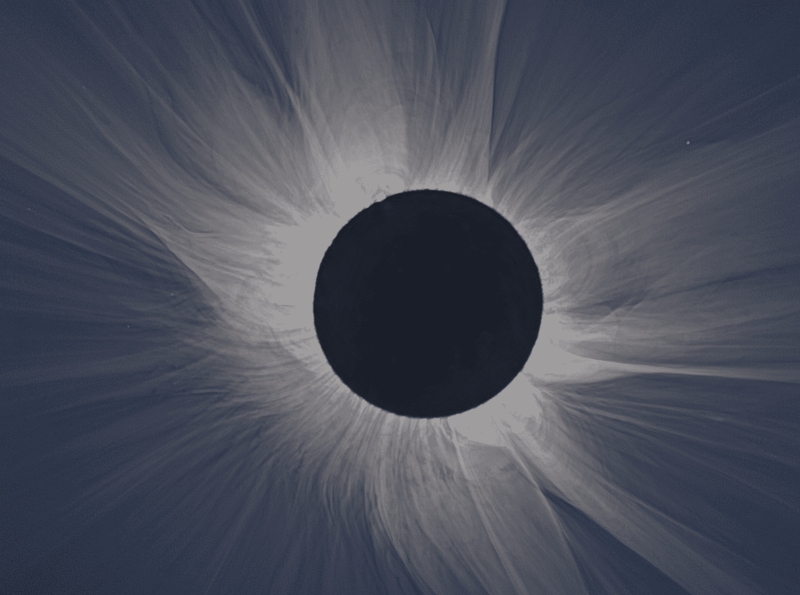 The sun’s outer atmosphere is also available during totality. Don’t: miss out on the actual event because you’re trying to snap a perfect pic. Remember to enjoy the event and its incredible display. Use a tripod to keep things steady, especially if you are planning to use a long telephoto. Share your eclipse photos with us by using the hashtag #Photosmotion on Twitter and Instagram.